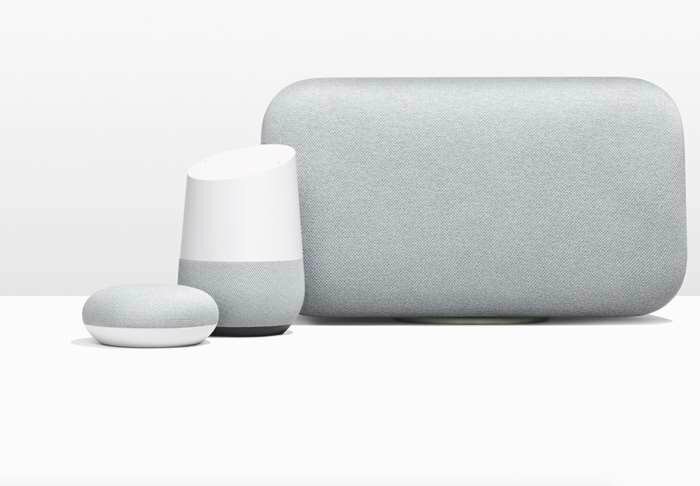 Google has announced two new Google Assistant devices, the Google Home Mini and the Google Home Max. The Google Home Mini is designed to take on the Amazon Echo Dot and the Google Home Max is a larger speaker, which Google says is 20 times more powerful than the Google Home. Mini makes the Google Assistant more accessible than ever at home. We designed it to fit naturally in any room. It’s sleek and smooth, with no corners or edges, and about the size of a donut. Its fabric enclosure is durable, yet transparent enough to let through both light and sound. The LEDs under the fabric light up to show you when your Assistant hears you. And it projects 360-degree sound so you’ll never miss a beat. With far-field microphones, Mini can hear you even when there’s music playing or there’s other noise in the background. Mini comes in three colors—Chalk, Charcoal and Coral. Pricing for the Google Home Mini is $49 and the Google Home Max will cost $399, you can find out more information over at Google at the link below.